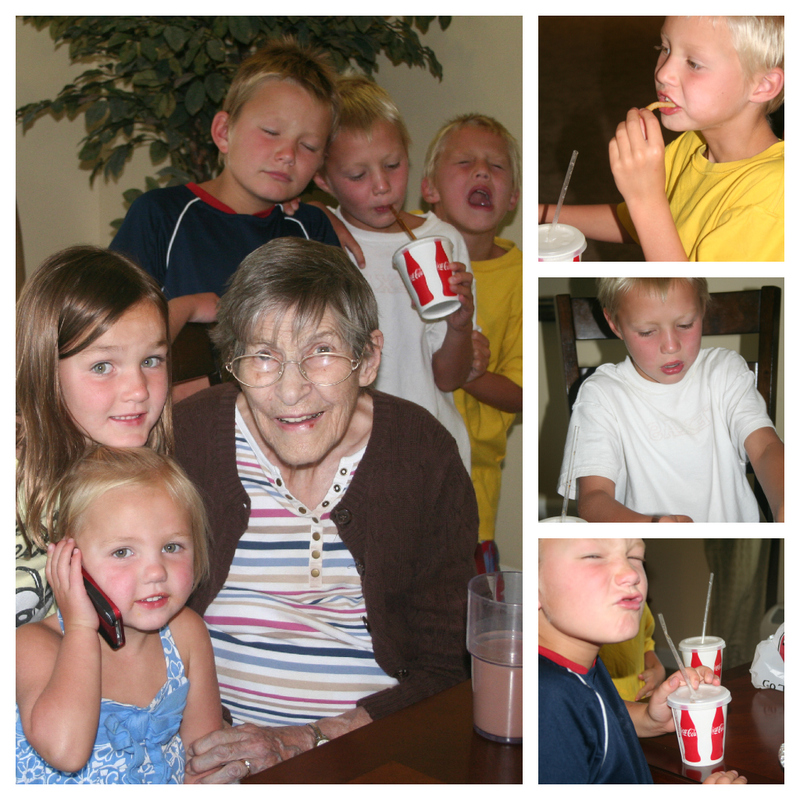 Every change we get ~ we stop in to see this special lady. Boy oh boy am I glad we do this. Sometimes we "pack a tent" and other times we just stop in real quick.. I cherish these visit and hold them close. This time we picked up Rumbi's and stopped in to share our dinner and visit for awhile. 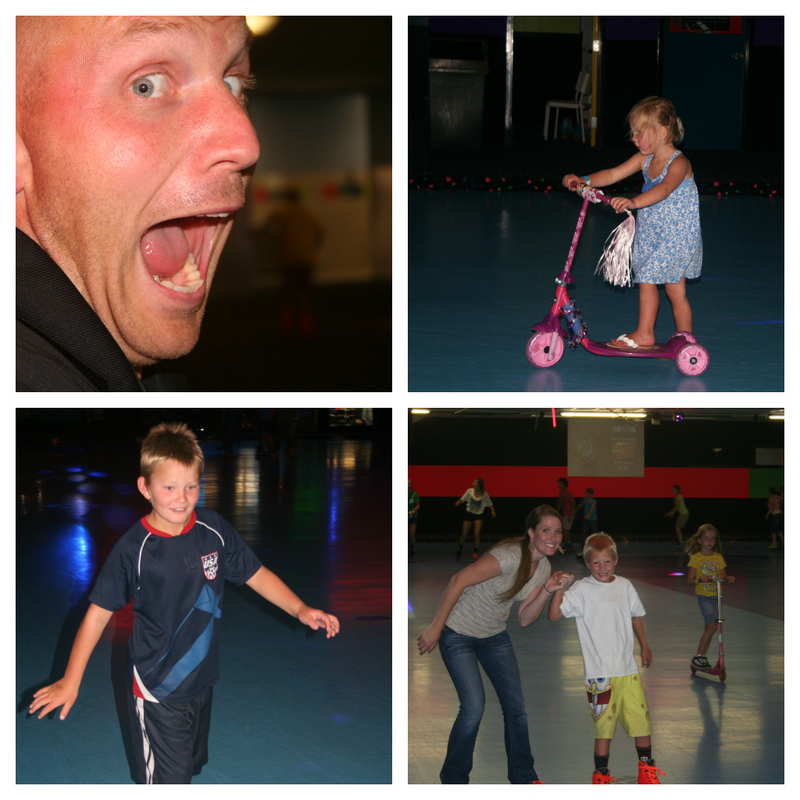 Thanks to the Orem Library reading program we headed out to roller skate. Alexander and Barrett were beyond determined to figure out all this skating stuff. It was a hoot to watch. They were for sure on the carpet more then they were rolling around that ring. I had a good chuckle and then decided to throw on some skates myself and help them get around the ring. 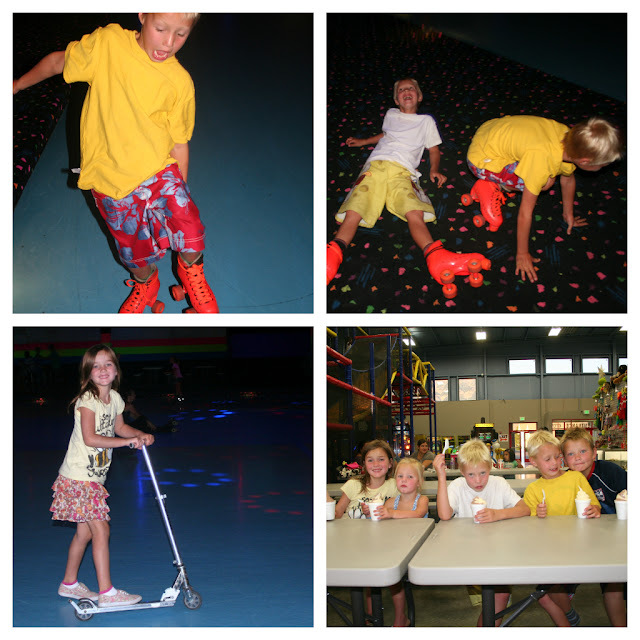 Between the scooters, skates, ice cream, and bounce houses everyone found something they enjoyed. It was a super fun night for everyone.